To say that our children are our future sounds trite and obvious. Nevertheless, they are the ones who will someday be making the decisions that will shape the course of future events. Kids today are often portrayed as spoiled, entitled and lazy–more interested in communicating on social media than interacting with the world around them. I’m sure that is true of some young people today, as it has been true of every generation that has gone before them. Unfortunately, we are more often exposed to the negative than the positive. With that in mind, I would like to make a case for the optimistic future I see ahead of us. I believe children today are more tolerant of individual differences. When I was growing up, we were sheltered from anyone who was different. People with mental, emotional and even physical disabilities were hidden away. Now we embrace and celebrate those who have special challenges to overcome. They are our heroes–not something strange to be feared. Our kids have been raised in that atmosphere. Not only are they tolerant, they are reaching out to help where they see a need. 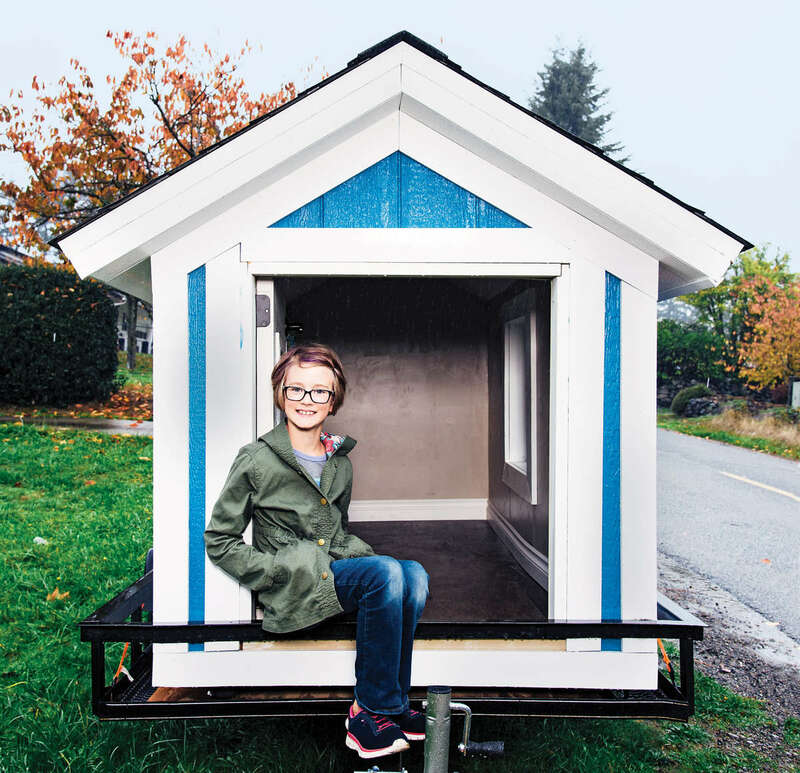 When Hailey met a homeless man in her community she decided to build him a little home. With only minimal help from her family (mostly in the form of advice) she build a house with windows, insulation and solar panels. That would be quite an accomplishment for someone of any age, but Hailey is only nine years old. It would have been so easy for her to say, “When I grow up, I want to help the homeless.” But Hailey didn’t wait until she was grown up. She saw a need and went to work doing something about it. An eleven-year-old named Lily watched her grandfather who has Parkinson’s disease struggle with drinking from a regular cup. She could have very kindly helped him hold the cup–which I’m sure she did. But Lily set to work inventing a cup with legs her grandfather could grasp, enabling him to hold the cup himself. Unlike earlier generations who had massive sets of encyclopedias, kids today have grown up with technology that allows them to instantly find an answer to any question they might have. They have not only embraced such technology but expect it as part of their daily lives. What will they do when they have questions that cannot be answered yet? I believe they will search for the answers until they find them. They will go on to answer the questions that we have been unable to answer–What causes the common cold? Why can’t we feed everyone in the world? How can we prevent the spread of disease? As a Baby Boomer, I have grown up knowing that I was part of a generation that was so large the world had to sit up and take notice of us. The Millennials are another huge generation. Their impact will be felt around the world. I have no doubt they will be equal to the task ahead.